Refinancing activity has certainly slowed over the past year as interest rates have increased. It’s easy to understand why as interest rates have gradually risen. But the key term here is “gradually.” Rates have in fact gone up but they’re still in a relatively low range historically speaking. For those who decided to refinance in order to get a lower rate, most likely have already done so. For homeowners that are still waiting to see if rates will go any lower will probably have to wait quite some time. The Federal Reserve recently stating there could be two more rate increases before the end of the year. So, is it still a good idea to refinance? it depends on what you are trying to accomplish. *Homeowners that have questions are encouraged to contact us 7 days a week at the number above. ARM to Fixed. Most adjustable rate mortgages issued today come in the form of a hybrid. Yet there still are a few adjustable rate mortgages that fit the classic ARM profile. 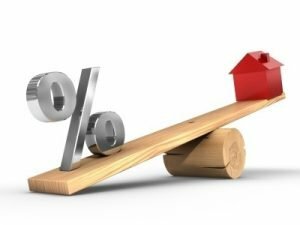 An adjustable rate is one that can, as the name implies, adjust at some point in the future based upon predetermine parameters listed in the note. The initial allure of an ARM is the fact that the start rates on ARMs are lower than fixed rate programs. An ARM is based upon a specific index with a margin added to it. For example, the index is the 1-year Treasury and the margin is 2.00. Say the 1-year Treasury is 2.50% and the margin is 2.00, the adjusted rate would be 4.50%. Yet as rates in general rise, so will the index. Yet ARMs limit how much the rate can adjust at various times so even if the index were to reach 10.0%, it would never get that high due to the interest rate caps on the loan. For example, if the rate cap were 5.0% above the initial start rate and the start rate was 4.00%, it would never get higher than 5.0 + 4.0 = 9.0%. And that’s why owners of ARMs should consider now to refinance out of an adjustable rate mortgage and into the stability of a fixed rate loan. As it relates to a hybrid, when the initial rate is fixed for say three or five years, there will come to a point where the rate begins to adjust once the initial fixed rate period has expired. For holders of either type of these notes, it might be time to talk to your loan officer to refinance your existing ARM or hybrid. Changing Terms. Another reason to refinance today might be to switch mortgage terms. Most fixed rate loans issued today have 30-year terms and clearly the most popular choice among all fixed rate terms. The reason it’s the most popular of all fixed rate terms is it provides the lowest monthly payment. The tradeoff with the longer term and lower payment is the amount of interest paid over the life of the loan. Borrowers can also take out a 15 year fixed rate loan, half the term of the 30-year program. The result is a higher monthly payment but there is much less interest paid over the life of the loan with the 15-year term. A potential problem with a shorter term is qualifying. Monthly payments for a 15-year loan will be more than twice as high as a 30-year term. Sometimes the shorter term means the borrowers no longer qualify based upon debt to income ratios. There is even a 10-year term offered, providing the lowest overall interest paid. But it doesn’t have to be a choice between a 30 and a 15-year term because there are others “in between” the two. Fixed rate terms can come in 10, 15, 20, 25 and 30 years. Your loan officer can help you determine which is the better fit. Two Loans to One. A common strategy for borrowers who want to come to the closing table with as little down payment as possible yet avoid private mortgage insurance on their loan is to take out two loans. The strategy is to put down 5% or 10%, in order to keep the first mortgage at 80% of the value of the property. Doing this eliminates the need for private mortgage insurance, with a second at 15% or 10%, depending upon the amount down. Such loans are listed as piggyback 80-10-10 or 80-15-5 loans. However, the second mortgage will have a slightly higher rate than the first. By refinancing both loans into one, the overall monthly payment may, in fact, go lower. Cash Out Refinance. Many homeowners still have a need to cash out refinance transactions. This can be a great way to get the cash needed for a high-interest debt consolidation, home remodel, etc. Most conventional loan programs permit up to 90% loan to value for cash-out refinance. The FHA mortgage permits up to 85% and the VA program permits up to 100% cash out. Please contact us today to learn more by calling the number above, or just submit the Info Request Form on this page.